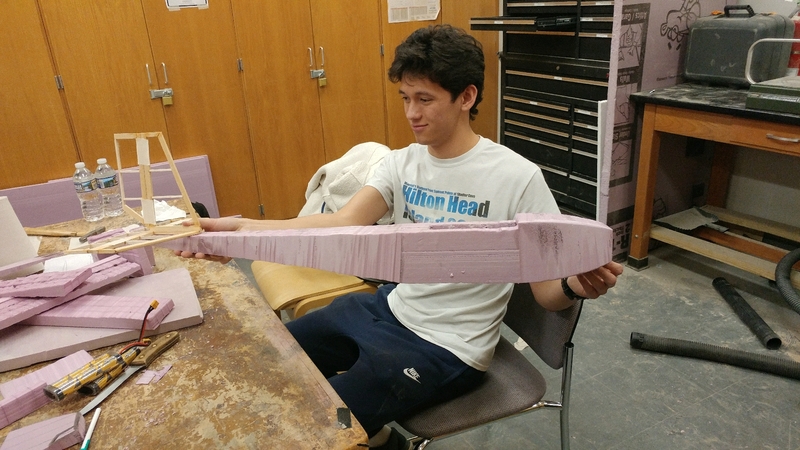 We are building a plane to compete in AIAA's annual Design Build Fly competition, hosted in Tucson, Arizona. Help our student team get there! The American Institute of Aeronautics and Astronautics (AIAA) is a professional society for the field of aerospace engineering. Every year, AIAA hosts Design Build Fly (DBF), a collegiate competition where teams create and fly remote-controlled aircraft. In this year's competition, teams must create a plane that can . This is our chapter's third year on campus and our second year competing in the DBF competition. UMBC's DBF proposal placed 84th out of 140 entries this year, outranking schools such as Georgia Tech, Cornell, and Johns Hopkins University. This is UMBC's second time competing in the DBF fly-off, and to get there, we need help paying for our team's travel and lodging . UMBC's AIAA chapter aims to increase opportunities for students interested in the field of aerospace engineering. By donating to our team, you are helping students develop their skills as real-world engineers and giving UMBC the chance to compete in a nationally-recognized engineering design competition. Any donation towards our campaign is greatly appreciated! Your support is also needed to help spread the word about our campaign by forwarding our page to anyone who might be willing to support our team. Sharing our page on Facebook, Twitter, over email, etc. will help us achieve our goal. Learn more about the competition here, or check out our team's Facebook and myUMBC pages. Paper Airplane - You are broke, but still like planes, and we love you! Metal Airplane: This will approximately cover lodging for one person. Single-Engine Flier - This will approximately cover lodging for two people. 747 - This will cover about half of the entire trip for one person. Millennium Falcon - You rock! This will approximately fund one person's entire trip (or our rental van! ).